A gun-rights group is calling on the attorney general to cut federal funding from state and local governments that adopt policies that infringe on the Second Amendment. "The liberal municipal governments of such cities as New York, Chicago, San Francisco and Seattle, and states including New Jersey, Connecticut, California and Massachusetts should not be receiving taxpayer funds while violating the constitutional rights of those taxpayers," Alan Gottlieb, chairman of the Citizens Committee for the Right to Keep and Bear Arms, said in a statement. "It is ironic that all of those places are willing to spend millions of dollars to attack the rights of gun owners, when they should be protecting civil and constitutional rights, including the Second Amendment." Gottlieb sent a letter to Attorney General Jeff Sessions which argued that state and local gun-control efforts have failed to reduce violent crime. Instead, he said, they have reduced the ability of the law-abiding to defend themselves. "Why should American taxpayers see their hard-earned money used to erode their fundamental rights?" he said. "Those of us on the front lines of this civil rights battle see this as the ultimate abandonment of common sense. When government becomes the enemy of its constituents, it should be penalized, not rewarded." 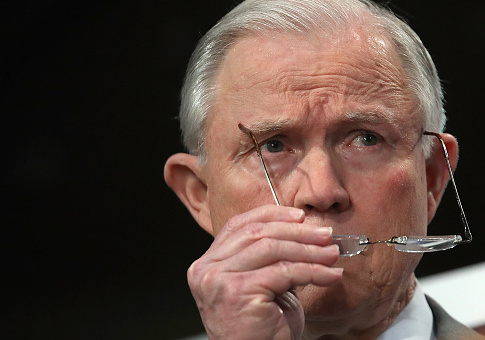 Gottlieb said the Citizens Committee for the Right to Keep and Bear Arms would be launching a national petition drive among its 650,000 members and supporters to encourage action by Sessions. He said some state and local governments have ignored the landmark Supreme Court decisions declaring the Constitution protects individual gun rights. He said taking away funding from localities infringing on the Second Amendment is the most effective way to ensure they stop. "These stubborn anti-gun local governments will spitefully hurt their citizens any way they can," Gottlieb said. "The time has come to slap them down, and the best way to get their attention is to turn off the funding spigot."